Self employed as Accounting Consultant since 1997. She has been assisting clients in setting up, maintaining, and utilizing accounting data to better manage their business in the legal, financial planning and other service industries. As a Software consultant and Controller for a regional CPA/Consulting firm in Ohio, Yvonne assisted law firm clients in analyzing system data related to business operations. She later assumed management of the firm’s accounting, computer operation and human resource departments. Other work experience includes banking, insurance and public accounting firms. Yvonne has served as Co-chair of $4 million capital campaign, Finance Chairperson, Administration Commission member, Service Ministry and Pastoral Care Commission Chairperson, Funeral Luncheon Coordinator, Welcome Committee member, Religious Education instructor and Home & School treasurer for the parish and school of St. Raphael. 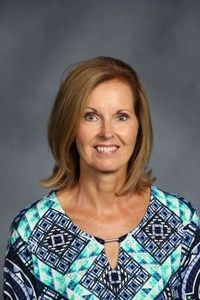 During her son’s four years at St .Francis High School, Yvonne contributed as Parents Organization Treasurer, Cash Raffle Chair, Varsity Boys Basketball Coordinator, summer mission trip chaperone, Staff Appreciation volunteer, Spartan Wear volunteer, Hospitality volunteer and member of Parent Recruit Team. She has served as a Will County Election Judge. Yvonne joined the Board or Directors in 2011 and currently serves on the Executive, Nominating and Institutional Advancement committees. Yvonne earned a B.S. Business Administration with a Major in Accounting at Chestnut Hill College, Philadelphia PA in 1983. Yvonne resides in Naperville with her husband, Robert (Bob). They have two children, Kelly and Michael ’11.